Out of all the books I've gotten a chance to review, I'd be hard pressed to find one that seemed to fit my blog more than Lunch Wars by Amy Kalafa. For those who haven't been around since the beginning, I started this whole blog right before Faith started kindergarten. In our case, she went to a private school with no cafeteria, so I needed to find a way to make sure she'd be able to eat her lunch in the allotted time. She's always been a great eater, but definitely a slow eater and bento lunches helped with that. Four and a half years later, she and Ben are in school in Colorado and I am making lunches x2. My original purposes have changed, but now it's a matter of feeding them a good, healthy lunch, where I know what ingredients have been used. I know what my kids eat, I know what we all eat, and since I cook almost all of it, I know what is in it. However, one of the ideas I found most interesting in Kafala's book is the talk about the "food culture" at school. Is what's being served and its message actually undermining what we try to tell our children about health and nutrition? We tell them eat healthy, but cafeterias serve pizza and ice cream. We tell them candy is a treat, yet every time we turn around they are getting a candy reward at school, at scouts, at athletic games. We tell them to make good choices, but why are we offering bad choices to children who don't have the ability to think long term? I'd love to hear your thoughts, if you want to leave a comment! 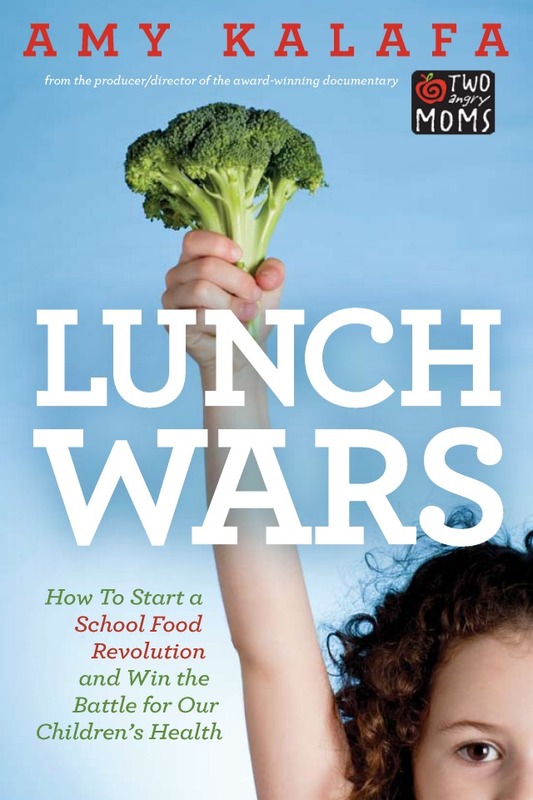 Or if you'd like to chat more about Lunch Wars with the other reviewers? Stop by BlogHer to join in! This was a paid review for BlogHer Book Club but the opinions expressed are my own.